How to Remodel a Bathroom for Resale | Bathroom Remodeling | Kastler Construction Inc. Trying to sell your home? The two most important rooms to a prospective homebuyer are the kitchen and bathroom. If you want your home to stand out from the competition, it’s important that your bathroom design look modern and appeal to a wide variety of people. 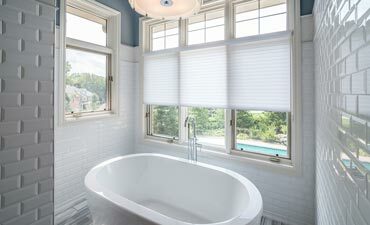 Keep reading to learn how to remodel your bathroom for resale. For more information, our bathroom remodelers at Kastler Construction Inc. recommend reaching out to a bathroom remodeling contractor near you. 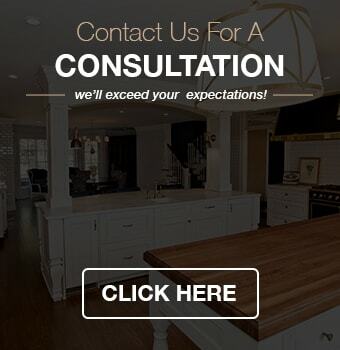 If you haven’t already, be sure to also check out the information below that better explains how to remodel a kitchen for resale. The bathroom is one of the smallest rooms in your house, which means a little splurge on building materials can go a long way. For example, many homeowners appreciate the luxury of heated floors in their modern bathrooms, but don’t want it installed throughout their entire homes. A home remodeler can help you come up with bathroom design ideas that will appeal to prospective buyers. Each home should have at least one full bath. A full bath features a sink, toilet, shower, and bathtub. If you don’t already have a full bath, making the upgrade can increase the value of your home and make it easier to attract prospective buyers. During a bathroom makeover, a remodeling contractor will be able to transform a half bath (sink and toilet) or 3/4 bath (sink, toilet, and shower) into a full bath that looks and feels luxurious. If you only have one bathroom in your house, adding a second bathroom is a worthwhile investment. Prospective homebuyers want a house that will accommodate them and their families. As a result, they may pass on your house if there’s only one bathroom for more than three bedrooms. Adding a new bathroom increases the value of your home and helps it stand out among the competition. If you have a small bathroom, you’ll want to use the space as efficiently as possible. This might mean installing a sink in the corner or getting rid of an extra vanity sink to make room for more countertop space. A bathroom remodel contractor will know how to make the best use of the space you have in your bathroom so it’ll feel more spacious and luxurious. The Oakland County remodeling contractors at Kastler Construction are dedicated to making sure you are completely satisfied with your latest bathroom remodel. We are proud to serve southeast Michigan and offer a full range of remodeling services, which include kitchen, basement, and bathroom renovations. If you are interested in our bathroom remodeling services, give us a call at (248) 655-5580.